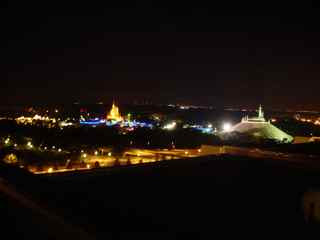 This is a nighttime view of The Magic Kingdom at Walt Disney World, taken from the California Grill, located at the top of Disney's Contemporary Resort. I love eating at the California Grill- it has a spectacular view of the Seven Seas Lagoon and all the hotels that surround it, and, of course, this view. The food there is great- I took this picture the first night that I arrived at Walt Disney World in September. I had made my reservation in advance, to kick off my vacation right!